Located in Madison's Business District. Discover an enhanced experience with all NEW rooms and our most requested higher-end amenities. It's a completely remodeled and upgraded stay! A little more pampering, all at an affordable rate you expect from Red Roof. 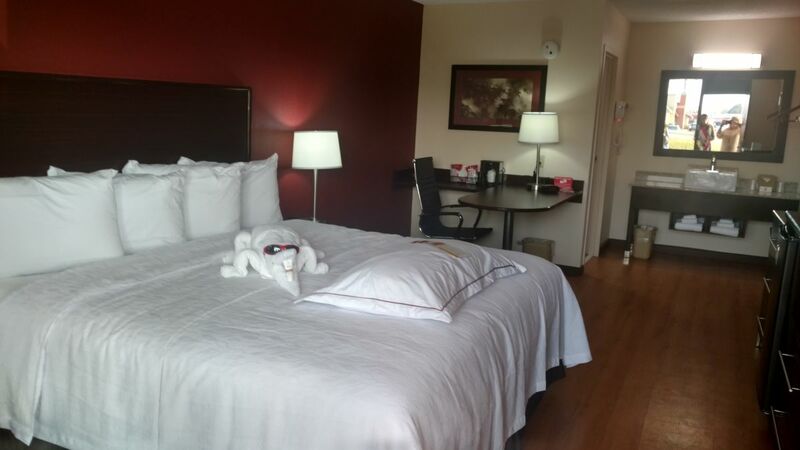 100% smoke free, free WI-FI, HD Channels, free Continental breakfast, Ask about our PREMIUM ROOM UPGRADE.